According to Coach David DeWolfe, "Several school records could fall this season for both the boys' and the girls' teams." For the boys, a strong core of distance runners and throwers are expected to take the lead this spring. Among them are key returning competitors Greg Niccolai '16, Michael Iannaconi '16, Mathieu Petit '17, Felix Andersen '17, Bobby D'Angelo '18 and C.J. Licata '18. Promising newcomers, including freshman Matt D'Ovidio, will look to the veterans to set a positive example as the team pursues its highest place ever at this year's South Jersey Sectional Championship. The season should yield several individual medalists at the county, conference, and state levels. Leading the way for the girls will be several key returning athletes, including seniors Colette Bilynsky, Sahara Ensley, Jackie Roettger, Lillie Wilson and Ludi Zhu and juniors Erica Phiansunthon and Sammy Bittman. Promising newcomers this season include freshmen Alicia Amoroso, Lily Fischer, Alyssa Jurewicz and Eve Ryan. With a strong core of veteran distance runners and field-event competitors, the girls' season is promising. 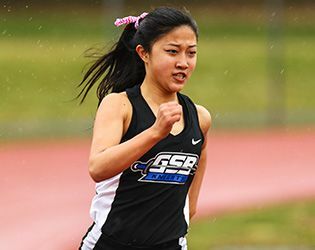 Zhu looks to defend her State Group B titles in both the long jump and triple jump, while several girls are expected to medal at the county, conference, and state levels. Looking ahead, key meets for the team include the Somerset County Relays in mid-April, the Skyland Conference Championships on May 10, followed closely by the Somerset County Championships on May 17 and the Prep B Championships on May 23. The South Jersey Sectional Championships take place on May 27, and June brings the State Group B Meet of Champions followed by the State Meet of Champions.